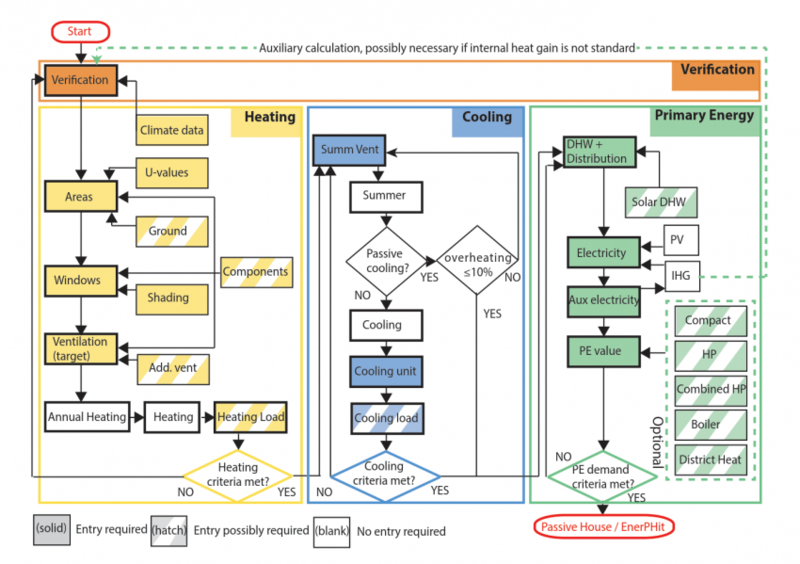 How accurate is building energy modeling software? There are a lot of assumptions that go into any model. We assume that the weather will conform to historical climate data, that occupants will use the building in a typical manner, that the building is actually constructed as designed, that mechanical equipment will perform as advertised, etc. 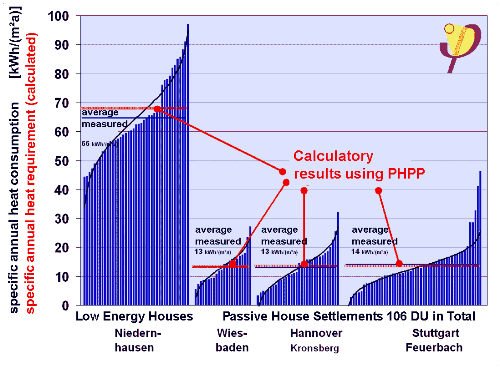 The chart above shows measured data—blue bars—plotted against the simulation results for Passive House and low-energy buildings in Germany. This shows how well the Passive House Planning Package (PHPP) software can predict average energy use. PHPP has been validated with dynamic energy simulation tools as well as with measured data. You can read the US Department of Energy evaluation of PHPP here. Duncan Architect consults with architects, engineers, and contractors to provide energy modeling services, among others. As a Certified Passive House Designer, Gregory Duncan is well qualified to create accurate energy models using PHPP software.